If you are to reduce your risk of injury there are a number of measures that you need to take. 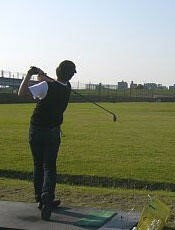 Even when the requisite levels of stability, strength and mobility have been achieved and correct movement patterns have been optimized, conditioning work should continue, albeit in a reduced format, because the asymmetrical nature of the golf swing means that, over time, injury problems will still occur unless continued conditioning maintains a balanced musculature. 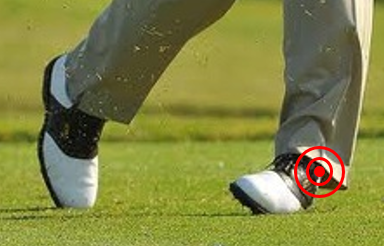 The vast majority of golfing injuries are caused by the repetitive and explosive nature of the golf swing. They occur over time as a result of cumulative ‘wear and tear’. Frequently, however, it is not merely a question of cumulative effect. It is the result of overuse and misuse in combination. It is important to understand not only the potential impact over time of modern swing technique on the human body, but also that there are a number of common swing flaws that, of themselves, can actively cause injury. By hovering over this page in the Game Improvement drop down menu at the top of the Homepage, you will see a series of sub-pages that examine the most common golfing injuries and the swing flaws that can cause them. There are also a number of healthy practices that you should build into your golfing ‘routines’ before, during and after your round. These should be adopted on a regular basis and become a part of your ‘custom and practice’. Ideally, this should be followed by a trip to the practice range. Golfers should begin with the PW or 9-iron and progress through the clubs hitting a few shots with either the odd or even numbers finishing with 5-wood, 3-wood and driver. Muscles that have been stretched and gradually loaded are much less prone to being injured. During your round, repeatedly bending over to pick up a golf bag can stress the low back and lead to a muscle strain. An integrated golf bag stand that opens when the bag is set on the ground can help, but the act of carrying a standard golf bag places weight asymmetrically onto one shoulder which can be hard on the back stabilisers. I would strongly recommend a battery-powered trolley, but at the very least have twin straps on your golf bag to divide weight evenly across your back and reduce the risk of developing low back pain. [NB: Sitting in a golf cart, while driving over rough terrain increases spinal compression forces within the low back.] Equally, in order to preserve optimal spinal health, it is important to ensure that you employ good technique whenever bending to place or pick up a tee or a ball, or to pick up a bunker rake and, of course, especially when actually raking the bunker. After your round, further preventative action to be encouraged is the inclusion of proper recovery procedures into your post-round routine, which will help to reduce inflammation, repair muscle and joint ‘wear and tear’ sustained during the round. Such procedures can include a proper warm down, the use of ice packs, heating pads, cold/hot baths, etc. Nowadays many golfers play at courses that are part of a complex which offers all kinds of helpful facilities. Massage is another great way to reduce muscle soreness and rejuvenate the soft tissue, but if that is a step too far for some, simply replenishing carbohydrate, protein and hydration levels can go a long way towards minimising soreness and muscle fatigue. Once away from the course, it should be remembered that playing golf for around four hours takes its toll on the body and it is important that night to get a minimum of eight hours of sleep to give the body time to repair itself. Without it, most golfers will feel a bit sore the next day. Hopefully, you can incorporate at least some these recovery procedures into your post round routine.